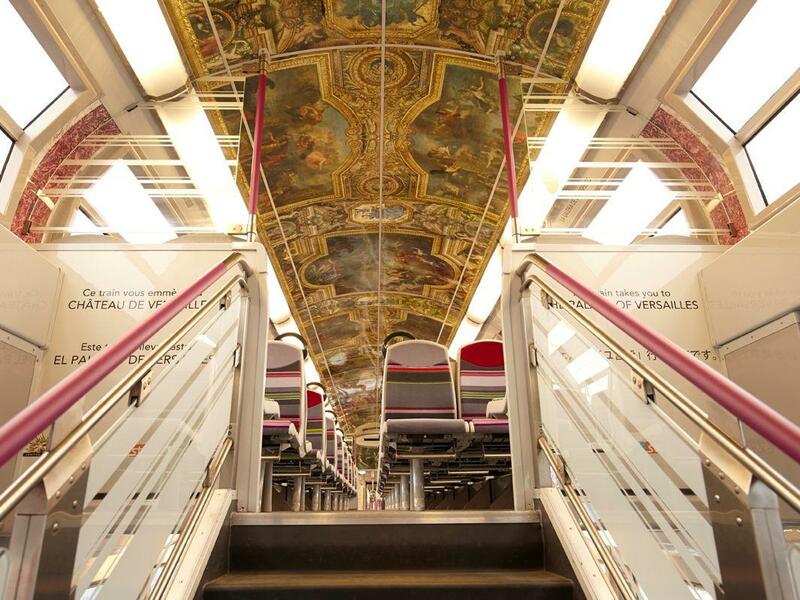 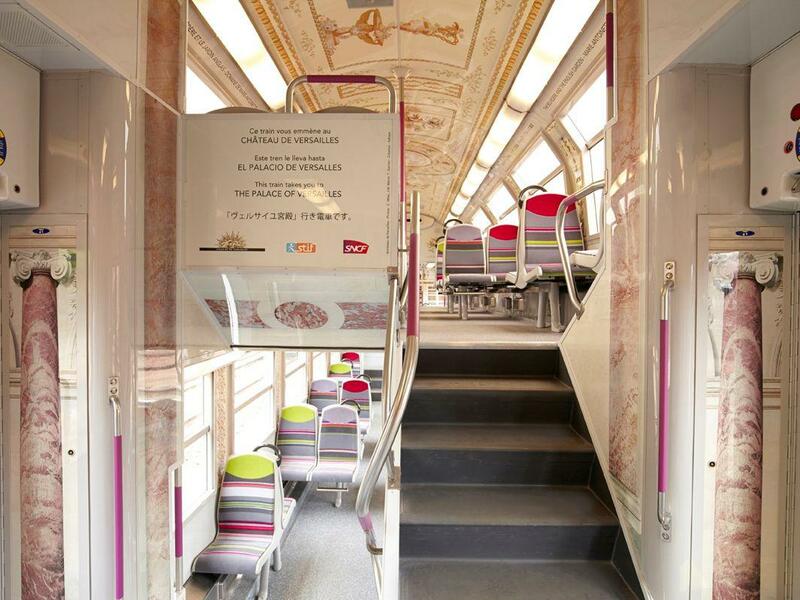 France’s SNCF decks out its cars to look like the Palace of Versailles for the Art in Transit project. 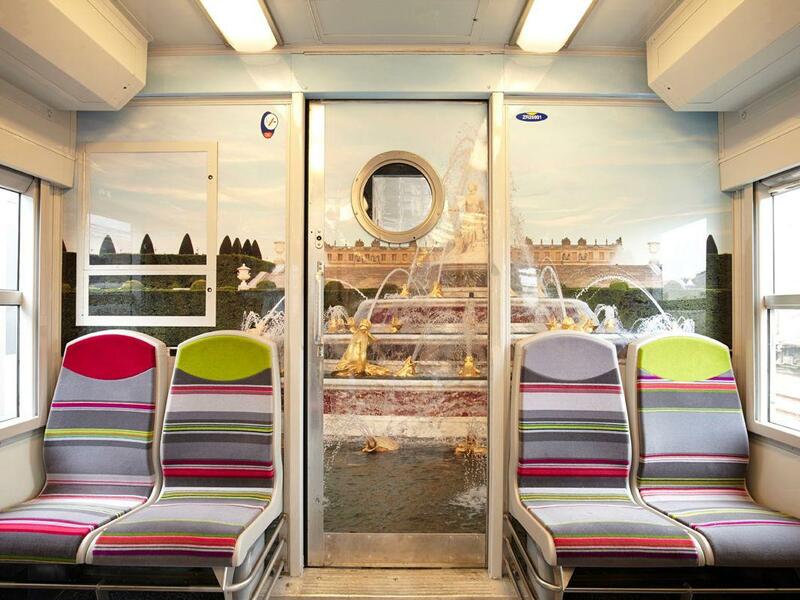 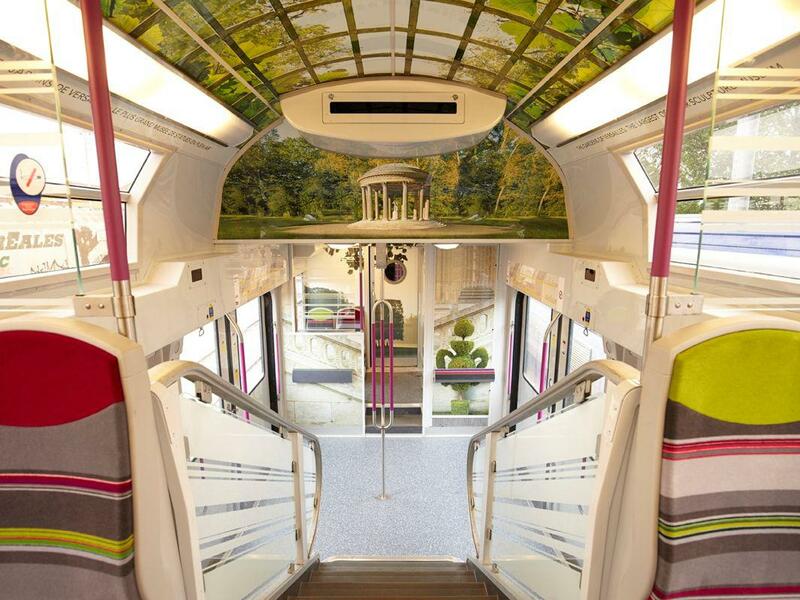 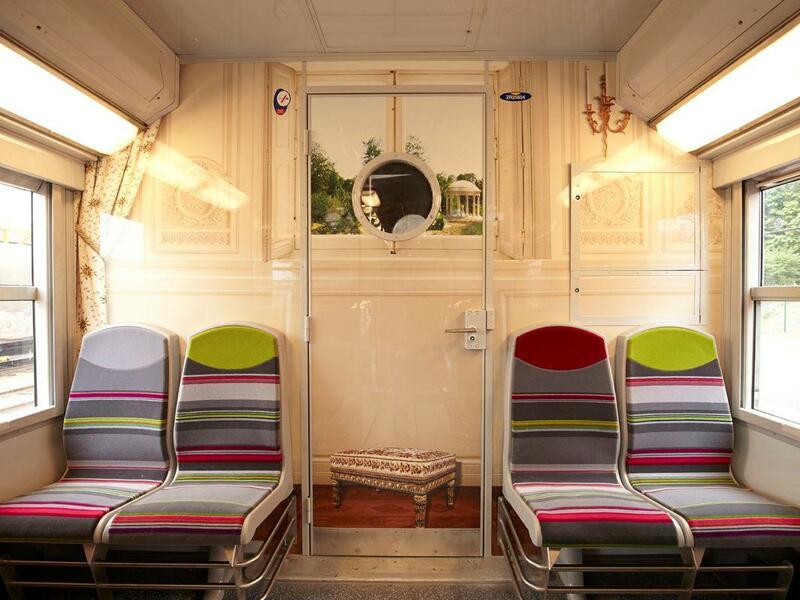 France’s national rail network SNCF and 3M have redecorated the interior of trains on the RER C between Paris and Versailles to evoke the palace and its gardens. 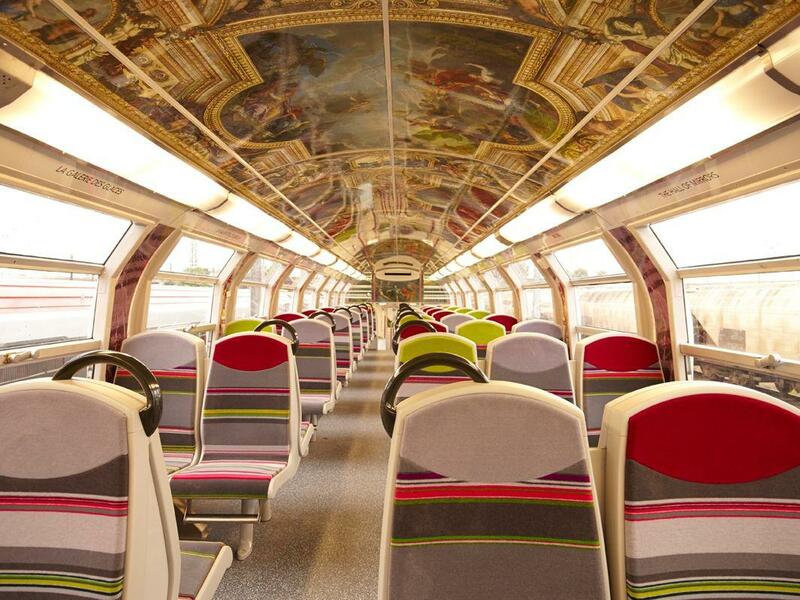 The SNCF, France’s national rail network, is a fine piece of infrastructure. 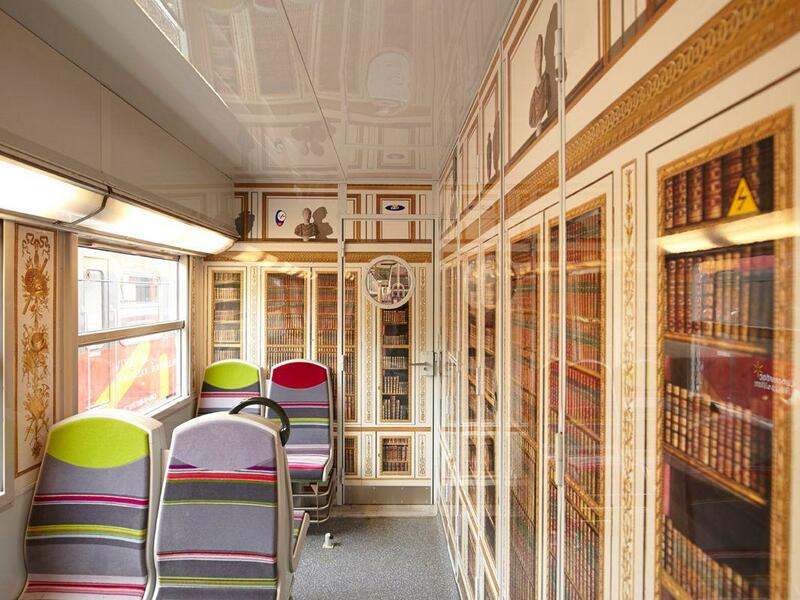 But unlike the taxis of Mumbai or the long-haul trucks of Spain, French SNCF trains generally have an unremarkable décor that is more about efficiency than inspired design. 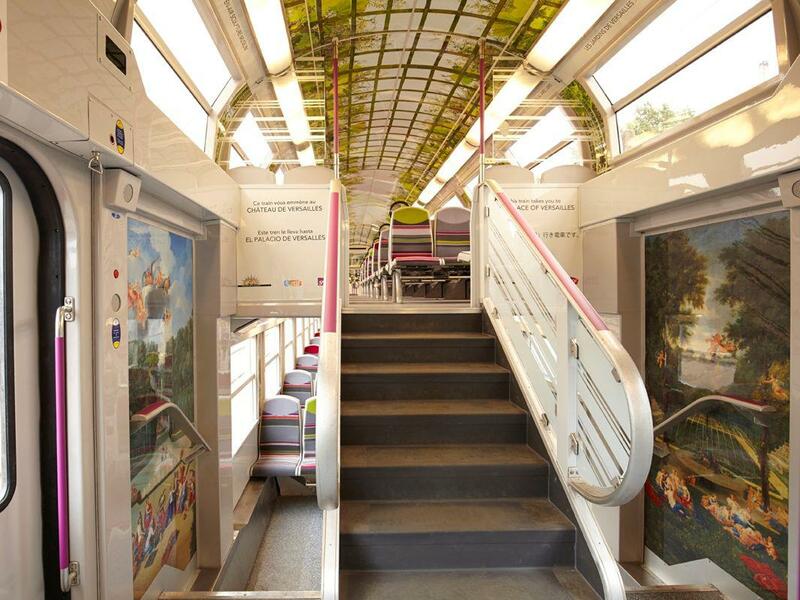 But in 2012, the SNCF in collaboration with 3M launched Art in Transit, an ongoing project designed by Paris ad agency Adkeys that has redecorated banal train car interiors with recreations of Impressionist art and stained glass from Paris’ Musée d’Orsay, a train station turned art museum. 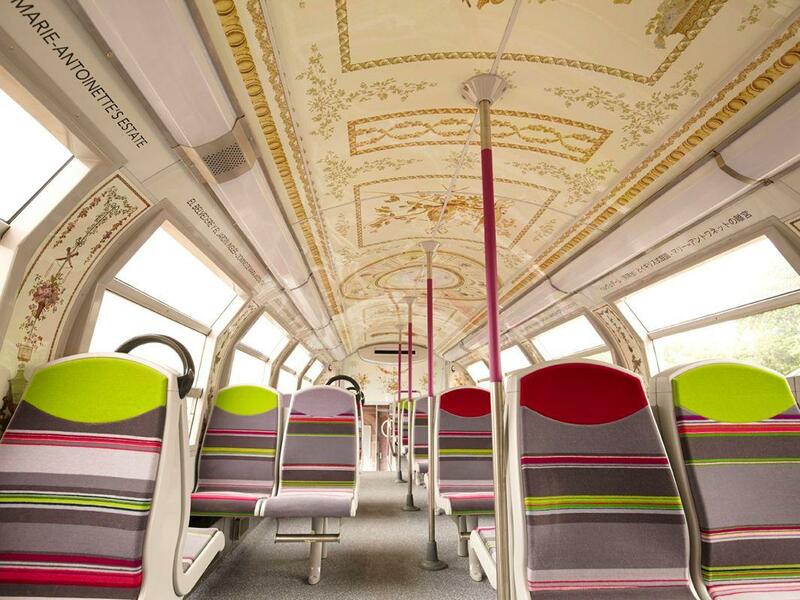 * The latest installment features a second edition of Versailles-themed décor inside five cars on the RER C train line that runs between Paris and Versailles. 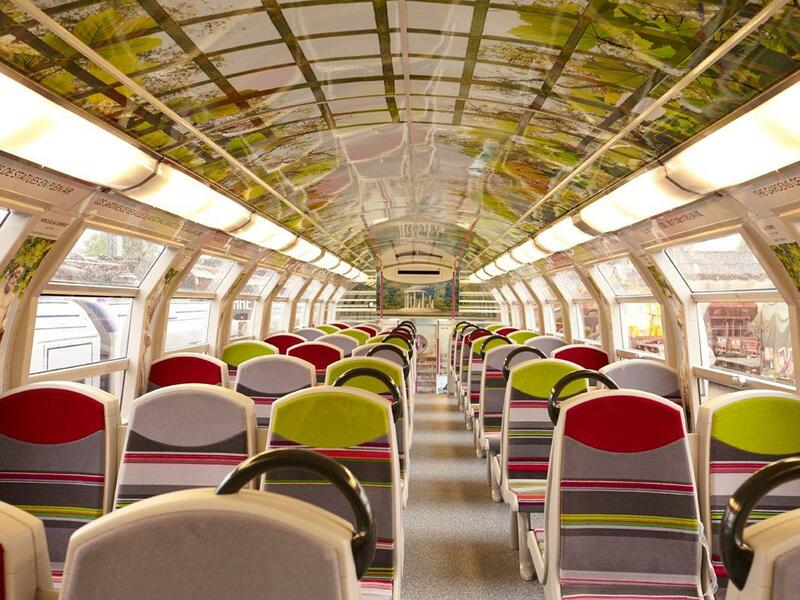 *Update, May 26, 2016: This post has been updated to include Adkeys’ involvement in the project.